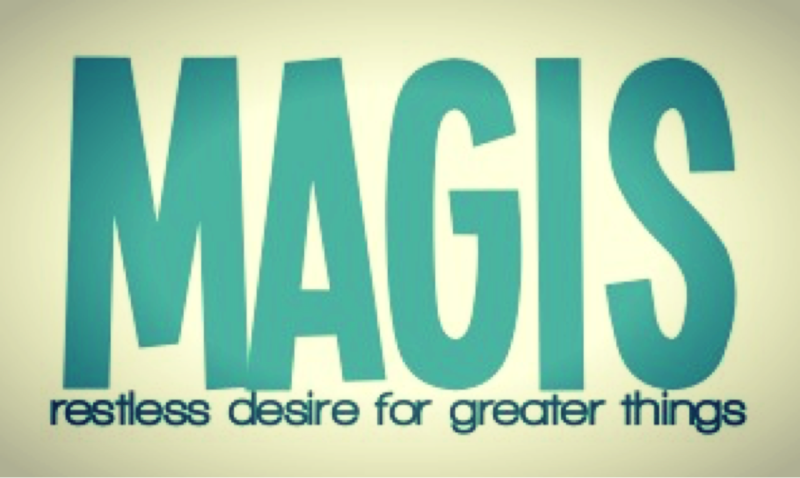 “Magis.” A Latin word. A Jesuit Value. An utterance frequently heard on Creighton’s campus. “Magis” can be seen in colorful sidewalk chalk scrawled on the mall advertising the #MagisMondays, can be heard in addresses to wide-eyed freshmen during Welcome Week, and can be spoken in casual reference to the new Magis Core. Yet, what does Magis really mean to the larger Creighton community? When I first started here at Creighton, I was initially excited when I heard about how Creighton was unifying itself behind the Jesuit values and this sacred idea of Magis. Magis, as defined at Welcome Week, means more not in the quantitative sense but more in the qualitative sense of better or greater. Magis shows how Creighton strives for excellence in all things be it academics, athletics, the arts, or simply moral living. Yet, I was disappointed to find that that Creighton was using Magis in a less sacred way in the naming of the new core curriculum. Magis appears in the name of new Magis Core as seen at http://www.creighton.edu/academics/magis-core-curriculum. This use of Magis as a marketing strategy designed to appeal to perspective students who are concerned with the return on their investment in a Creighton education cheapens the use of the word Magis. Magis becomes a cog in the capitalist society, having been chosen for its efficiency and slogan potential. The more we use casually use “Magis Core” — like when a sophomore said to me “I am so jealous that you get the Magis Core,” or when a student in my RSP group complained “Ugh, we have to go to another Magis Presentation!” — the more we diminish the original sacredness of this age-old Jesuit value. It is the duty of us, the students of Creighton University, to wrestle “Magis” back from its cheapened value. It is our responsibility to use this and all the Jesuit values in a respectful manner, remembering their original sacred meanings. That is truly doing more!